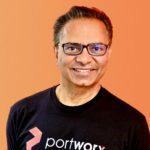 As CEO and co-founder of Portworx I’m proud to announce that we’ve just raised a $27 million Series C investment co-led by Sapphire Ventures and the ventures arm of Mubadala Investment Company, with support from existing investors Mayfield Fund and GE Ventures, and new financing from Cisco, HPE, and NetApp. The customer success of Portworx that enabled this investment is a huge testament to the talent and dedication of the entire Portworx team. I couldn’t be prouder of what they have accomplished. 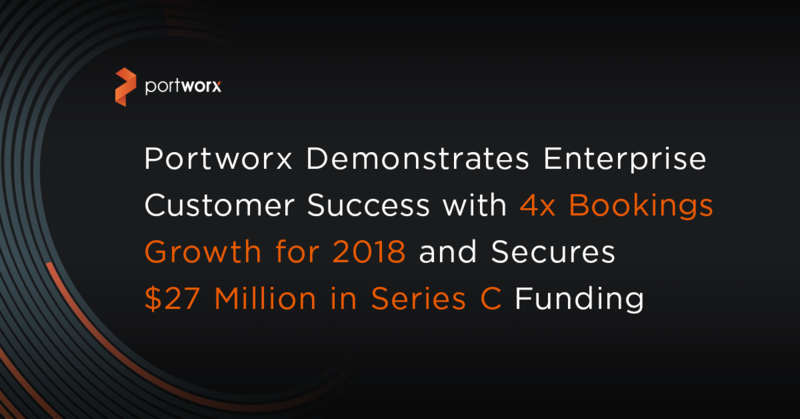 While fundraising is itself not indicative of long-term success, it is a good time to reflect on the broader trends that have culminated in a group of seven world-class investors and enterprise IT companies investing in the success of Portworx. In general, I am seeing three major trends that make me very optimistic about our customers’ ability to succeed on their cloud native journey. Automation is eating IT. The fast will eat the slow. Kubernetes is the fastest growing open-source project in history and is being widely adopted by global enterprises because they can use it to build, run and automate applications much faster, a key requirement for digital transformation. But right now, I’d estimate that popular Kubernetes distributions and services are a great fit for only about 5-10% of enterprise applications. What that means is that from the perspective of a CIO who is trying to balance agility with security and reliability, Kubernetes alone is still a niche platform. What do I mean by that? Enterprise applications are inherently data rich. Customer data. User data. Historical data. While much has been said about “stateless applications,” stateless apps are a minority in the enterprise. When it comes to data, Kubernetes does not itself handle the non-negotiable business requirements of enterprise applications like high availability, data security, disaster recovery, strict performance SLAs and hybrid/multi-cloud operations. As a result, the adoption of Kubernetes for mission critical enterprise applications is limited unless these requirements can be met. Put yourself in the shoes of a typical CIO. You are under enormous pressure to enable “digital transformation” in your organization. That simply means be more like Netflix or Google or Airbnb. Respond to customer demands quickly through technology. Bring products to market faster. Unleash grounds up innovation across your organization. Be the fast one or be eaten. At the same time, stay off the headlines by avoiding embarrassing data breaches or data outages that will put your head on the chopping block. Move fast, yes, but move securely is the enormous challenge being presented to CIOs in boardrooms all over the world. Enter Portworx. We eliminate the tradeoff between speed and security, between agility and reliability for enterprise applications. Kubernetes orchestrates applications, Portworx orchestrates application data. To thousands of nodes with production SLAs. Securely and reliably. The Portworx data platform was designed to solve the extremely difficult problems associated with running real mission critical applications in containers: persistent storage, data management, data security, disaster recovery, data migrations and more. These capabilities give enterprises the SLAs for reliability, security and performance they need for mission critical applications. And Portworx is designed for modern DevOps tools, workflows and microservices so teams don’t have to change their processes in order to achieve these goals. With Portworx data orchestration completing Kubernetes, it is not simply a niche platform for managing 5-10% of applications, it is the platform for managing 80% of applications. Now CIOs can graduate from using Kubernetes as a project level tool for carefully selected use cases to a mainstream enterprise-wide platform for all applications and an anchor for digital transformation. The investment Portworx just received from Cisco, HPE, and NetApp, in addition to partnerships we have with IBM, RedHat and more is indicative of a widely held belief by the leading enterprise IT companies that Kubernetes will be the next enterprise IT platform and to compete in that space, it is critical to solve core issues of data security, business continuity, compliance and more. We are thrilled that the success of our customers adopting cloud native technologies has gotten us this far. I am so excited about what lays ahead for our partners, employees, investors and especially our customers. Do join us on this journey of success!